Stay informed on the state and federal requirements for your school and your student. 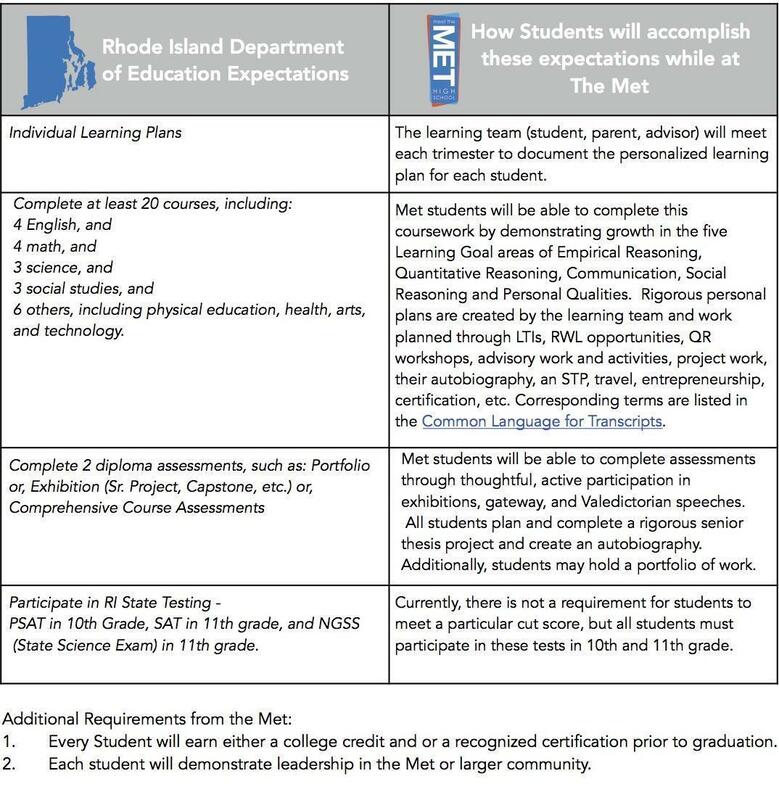 Below isinformation on Rhode Island State Graduation Requirements , the Met’s Response through Intervention(RTI) system, and the Federal ESSA (Every Student Succeeds Act). Rhode Island’s graduation requirements are below. Students and families should be aware of these expectations. These requirements, though challenging, will ensure that all Rhode Island students graduate ready for success in postsecondary education and careers.